Artist Bill Galvani, whose professional background is as a museum director, carves using the traditional tools of drawknife, spokeshave, wood rasp, and knife. He prefers basswood, a hardwood that holds detail and takes a blade well. 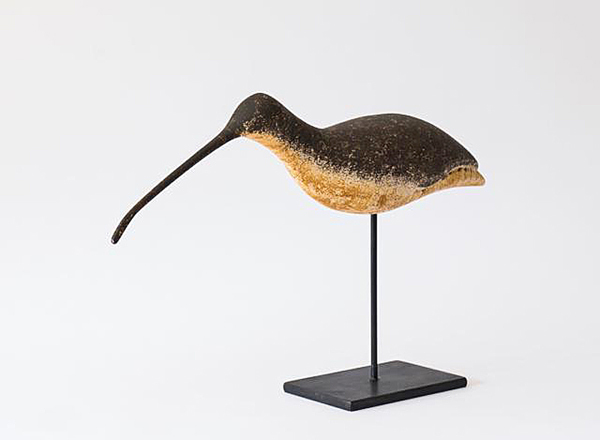 Carving shorebirds and ducks has encouraged him to study them, which has led him to participate in conservation activities that preserve birds and their habitats. Carving gives me pleasure and relaxation: the smell of freshly-cut chips, the finish of the wood, and the feel of the form as it takes shape. I enjoy learning about birds, watching them, and trying to understand them. 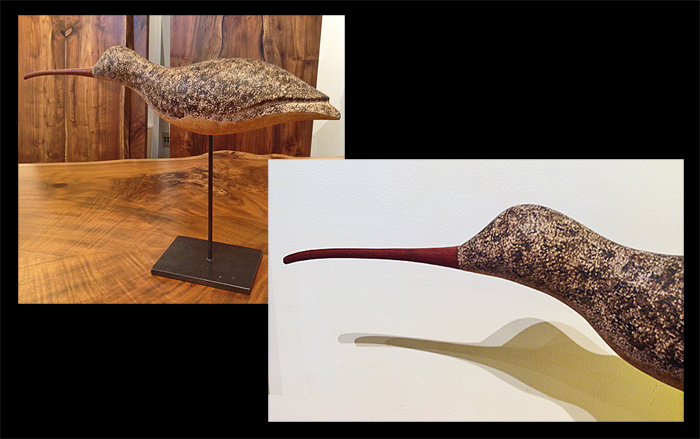 I have carved shorebirds, ducks, and whales for some forty years. I appreciate the work of the old masters of this craft, carvers such as the Ward Brothers of Maryland’s Eastern Shore and Elmer Crowell of Massachusetts. The wildlife creations of contemporary carvers including Larry Barth and Rich Smoker also inspire me. 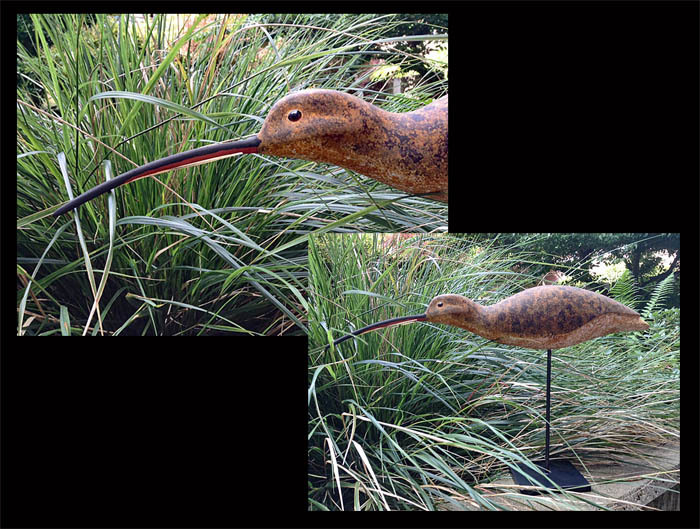 In my shorebird carvings I attempt to present a stripped-down form that projects the independence, spirit, and rugged nature of these remarkable feathered creatures. I served as Director of the Naval Undersea Museum in Keyport, Washington, for nineteen years. I also conducted museum accreditation visits for the American Alliance of Museums. Interestingly, those visits often gave me a chance to see the work of other carvers which I always enjoyed. Dimensions: 17.5" long x 4" wide x 11.5" tall. 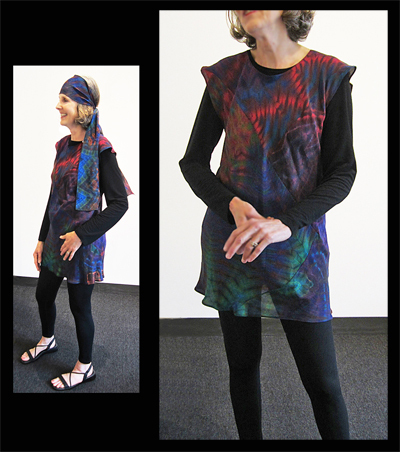 More information coming soon, or contact the Gallery. Carved using traditional hand tools of knives, wood rasp and drawknife. The body is Alaskan yellow cedar and the bill is maribou. Dimensions: 20" long x 4.5" wide x 12.5" tall. 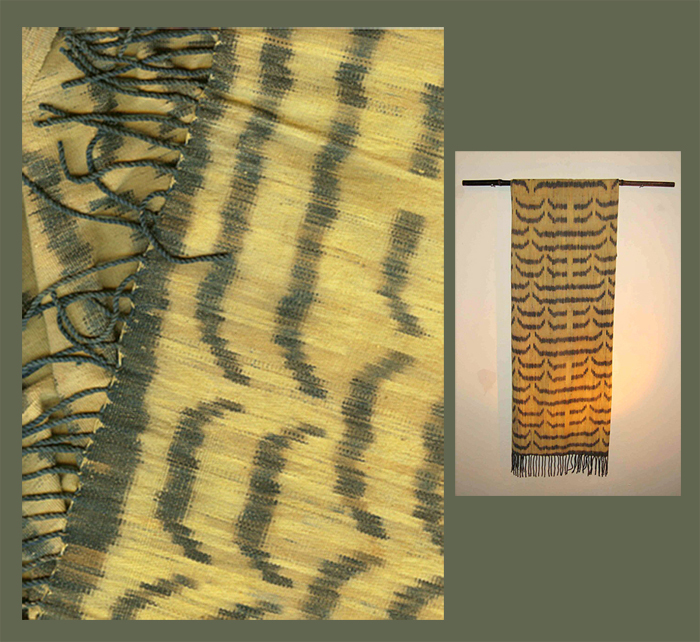 More information coming soon, or contact the Gallery.